Penrose: Welcome to My World! 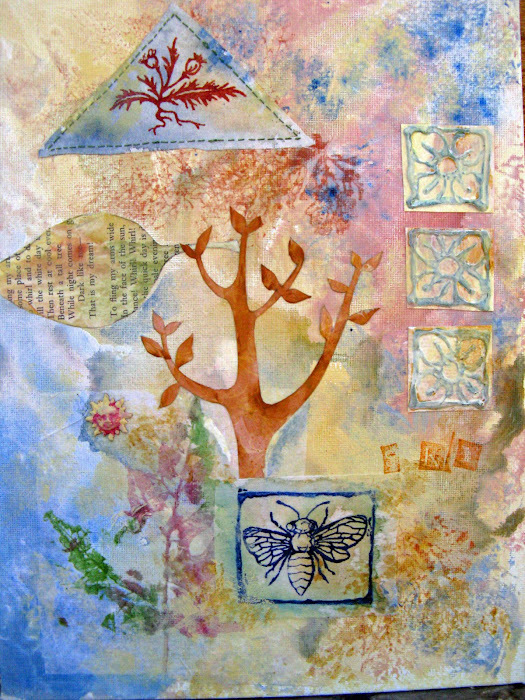 Here's another element for the U.N. art quilt. Since the subject is women in war torn countries, I thought I'd add a global image. First, I printed a map image on my photocopier. 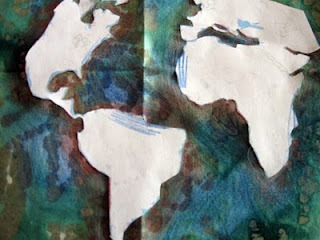 Next, I cut out the continents and used a glue stick to stick them down onto some batik I felt had an organic feel. I then drew around them with reddish colored pencil, a blue water-soluble crayon. 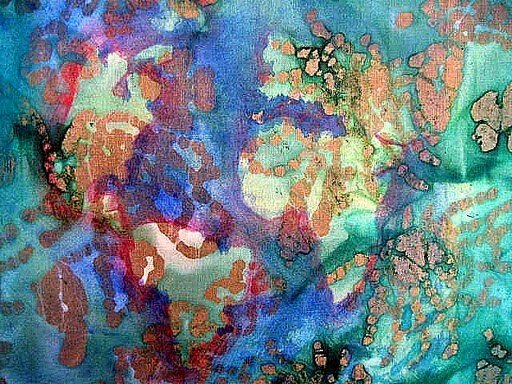 Then I splattered blueish green acrylic paint over the whole thing, spraying with clear water to soften, then blow dried to keep things from spreading too much, as can happen with paint on fabric. I'll go over the continent shapes with dark thread to bring them more into focus.